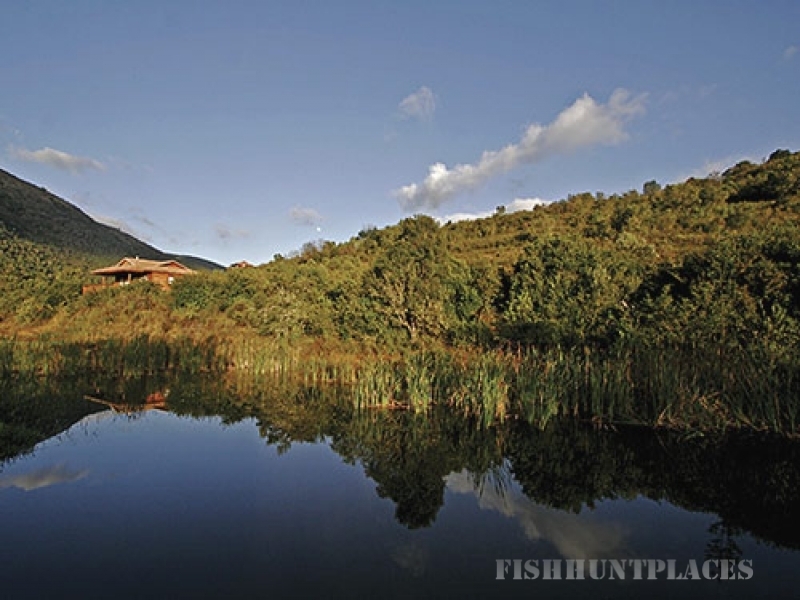 Outeniqua Trout Lodge is a delightful refuge for those who need to escape from the world- the perfect place to catch your breath and stay for a while. 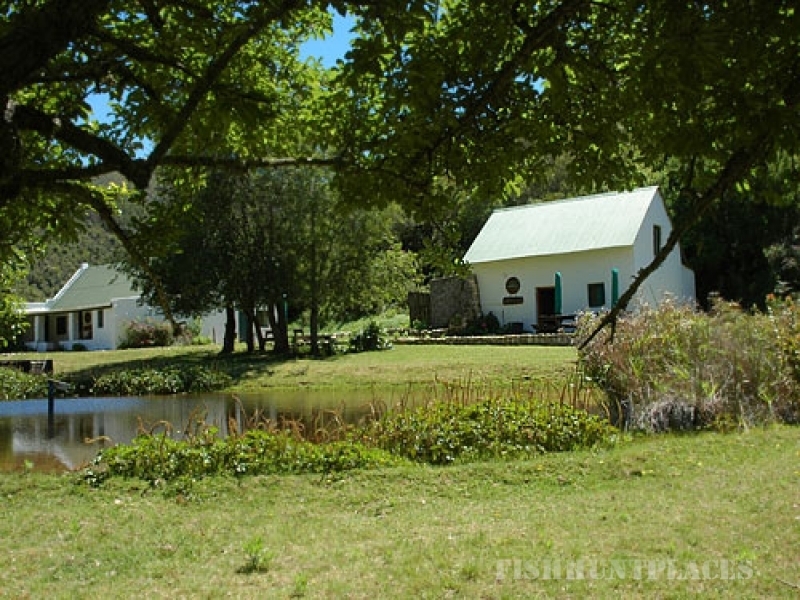 We are situated on the scenic Prince Alfred's pass only 55km from Knysna and Plettenberg Bay. The pass was built in 1860 along the route used for millennia by elephants. We pride ourselves in being 'green'; providing our own electricity and water from natural resources, as well as effluent treatment, making us independent from the national power grid and other municipal services. Our main farming activity is the growing of rainbow and brown trout and organic pecan nuts. Landowners in the surrounding area have all agreed to establish the Middle Keurbooms Conservancy, making it a special natural corridor with unique flora and fauna as well as exceptional bird life. There are also many examples of ancient 'bushmen art' dating back 6 000 years or more. 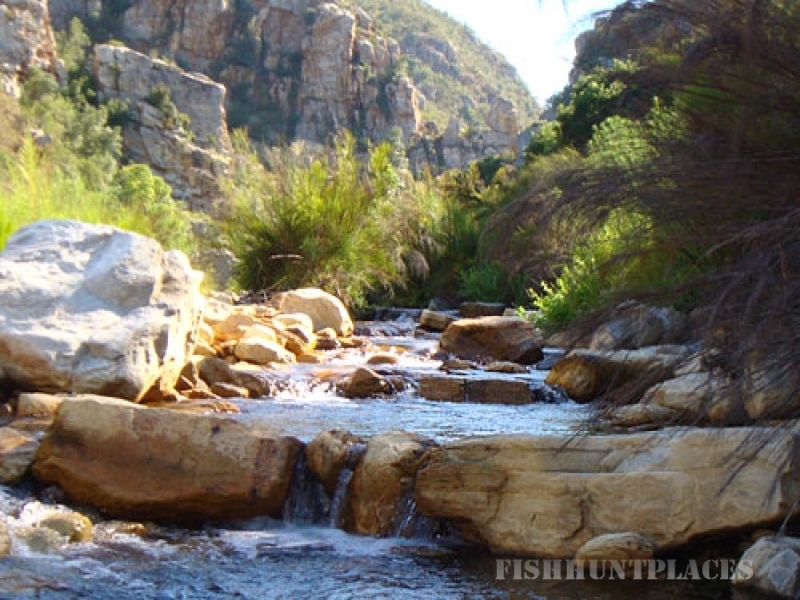 We currently have two rivers and three soil dams open for fly fishing. Please check with Management for availablility and stocking of Trout. Fly-fishing is strictly catch & release, barbless hooks. We give preference to lodge guests limiting day visitors. Fly-fishing is seasonal with longer fishing days in the winter months vs. summer months. We do stock flies & basic fly-fishing equipment at reception.